What Will Radio Sound Like In 2020? We’re so often told that old, ‘retrograde’ forms of media are dying out amidst the digital revolution. However, despite all the talk that it would become obsolete, radio has weathered the challenge of ones and zeroes, and even embraced cyberspace to capture scores of new listeners. Far from smothering the charm of a live programme or radio DJ, our methods of consumption are just guiding the tone of audio content, and – in many cases – the things we expect from those commanding the switchboard. So, if we hold a mirror up to the likely progressions of radio in 2020, what will we see? Initially, we should consider the formal strength of the radio medium, which crosses into its online equivalent. A way to sum this up would be to think of a huge, dizzying array of buttons. One of them will lead to a fantastic musical fix that you’ll treasure forever. Yet how do we know which to press for a revelatory song that fits out tastes? This is where radio DJs are invaluable. If they’re master and commander of a station you appreciate, they can throw new choices onto your musical radar, whilst returning to a few genre staples for breathing room. People face almost too much choice nowadays; it’s nice to have our listening habits curated carefully by someone who knows their stuff. The rise of online radio streaming gives us the ability to find a station that’s just right for us. Internet radio software has many perks for music lovers. Chief of these are the easy, instant request features that are built into many software packages. This allows DJs to see what their audience wants to hear, and they can adjust accordingly. With automated playlists capable of reshuffling tracks in a queue to fit those selections in, there’s going to be an upsurge in requests that aren’t sent via a direct message or social media. This will make programmes more fluid, allowing stations to represent their listener community. But it also filters into live reporting or interviews. With the proliferation of streaming software, radio DJs can field questions from their fans, and ask for instant feedback. 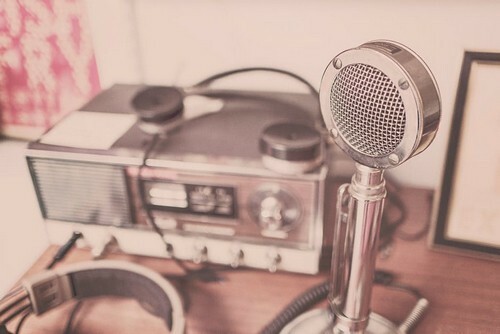 Podcasting has shaped a lot of modern radio trends. This is mainly due its vast catalogue of old shows on-demand, and the promotional teasers that accompany any major programme run. We’re now used to getting snippets, sneak-peaks and extra content with our audio habits. Expect long-form shows that’ll have a ton of associated material to keep us occupied between each broadcast. And, since everything a DJ does can be archived, the consistency of these programmes will be paramount; they will become more like a TV series than a collection of one-off radio episodes.